3 Bedroom End of Terrace House For Sale in Sittingbourne for Asking Price £275,000. 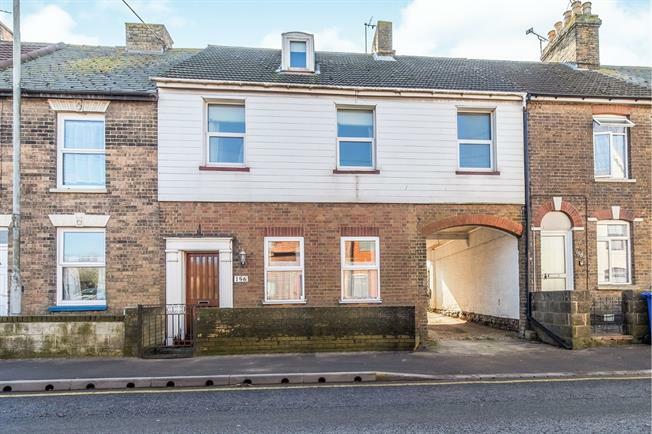 An extremely spacious three double bedroom, unique, family home plus a large loft room. The property offers excellent sized reception rooms to include an open plan lounge / diner and all the character and charm you would expect from a property of this era including extremely high ceilings. The kitchen breakfast room is measuring in excess of 20ft and there is a convenient WC, utility room and even a cellar! To the first floor you will find a large landing providing access to three double bedrooms, a large loft room and a family bathroom. Externally is a 100ft square rear garden and off street parking for two cars. Viewing is highly recommended to appreciate everything this fantastic property has to offer.